Spinal decompression is most effective when administered in several sessions over several weeks, but healing begins right away. The spine is gently stretched, opening the pressure-filled discs and releasing the pinched spinal nerves, relieving pain. Surgery is not always necessary to treat back pain. Spinal decompression is a non-surgical technique, and the chances of injury in a treatment such as this are minimal to none. Spinal decompression is often described by patients as a relaxing treatment as the spine is slowly and gently stretched, and the pressure between each vertebra is finally relieved. You don’t have to live with painkillers for the rest of your life to manage back pain, and you don’t have to worry about developing a dependence on painkillers when using spinal decompression. This is an all-natural method for minimizing the discomfort you’re feeling. A costly surgical option is not guaranteed to be 100% effective in providing total pain relief. A medication-free, non-surgical option with a quick recovery time like spinal decompression is a fraction of the cost of surgery with greater likelihood of relief. Pain medication is typically needed after surgery and recovery is lengthy – the side effects can be negative and long-lasting. Spinal decompression is not just a temporary fix. This technique promotes the healing of spinal disc tissues by drawing healing fluids and other substances toward damaged tissue so you can begin to get better. It is possible for spinal decompression to be even more effective and for you to improve overall good health when making lifestyle changes, keeping up with recommended exercise, and following a customized functional medicine routine. 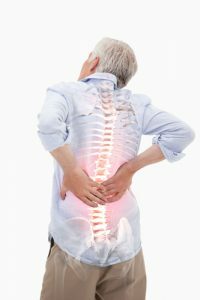 The back pain and leg pain that result from disc herniations, disc bulges, and other spinal disorders can often be relieved by spinal decompression, which is a clinically proven alternative to surgery for spinal disc issues. Treating the underlying structural issue that is causing your pain and discomfort is the most direct way to address the problem, and it does not mask the issue at hand as medication does. If you feel like your life is in limbo because of back pain, it’s time to learn more about spinal decompression. Allow the team at the Restorative Wellness Center in Ann Arbor help you find drug-free, surgery-free pain relief. Contact us today to schedule a consultation with Dr. Daniel Geck.